The Lello Bookshop (in Portuguese: Livraria Lello), also known as Librería Lello e Irmão (Livraria Lello e Irmão) or Bookstore Chardron (Livraria Chardron), is a bookstore located in the historic center of the city of Oporto, Portugal. It is located in Rua das Carmelitas 144, near the Tower of the Clérigos (a bell tower of baroque art, built by Nicolau Nasoni). In virtue of its historical and artistic value, the bookstore has been recognized as one of the most beautiful in the world by various personalities and entities, including cases by the Spanish writer Enrique Vila-Matas, the British newspaper The Guardian and the Australian publisher of Lonely Planet travel. The company was founded in 1869 under the name of “Ernesto Chardron International Bookstore” (Ernesto Chardron International Bookstore) at Rua dos Clérigos, nº 296-298, in Oporto. After the unexpected death of its founder, at 45 years of age, it was sold to the firm “Lugan & Genelioux Successors”. In 1881, José Pinto de Sousa Lello established a bookstore in Rua do Almada. In 1894 Mathieux Lugan sold the old Chardron Bookstore to José Lello, who, in association with his brother António Lello, renamed the bookstore “Sociedade José Pinto Sousa Lello & Irmão”, changing its name in 1919 to “Livraria Lello e Irmão” ( Librería Lello y Hermano). The present building was constructed by the engineer Francisco Xavier Esteves and was inaugurated in 1906. To the ceremony of inauguration they attended personalities like Guerra Junqueiro, Leite de Vasconcelos and Afonso Costa. 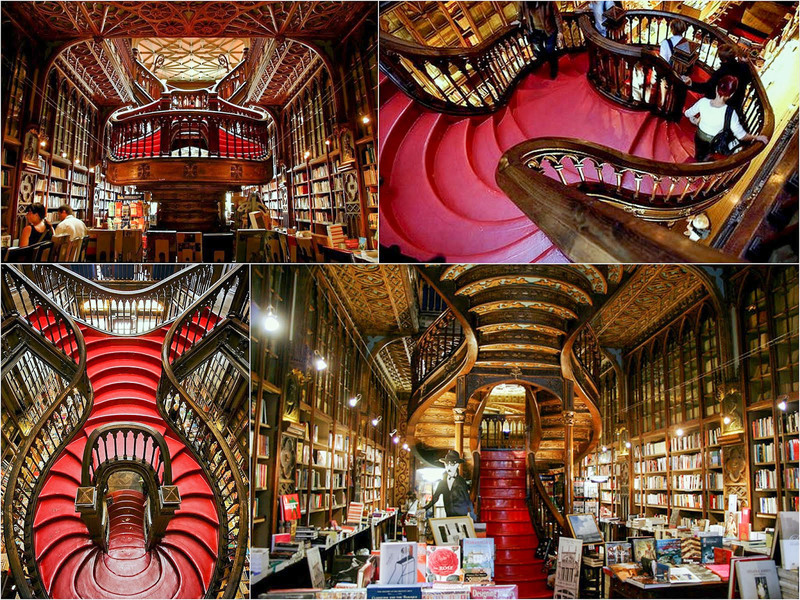 Enrique Vila-Matas described it as “the most beautiful bookstore in the world”, and in 2008 the English newspaper The Guardian called it the third most beautiful bookstore in the world. 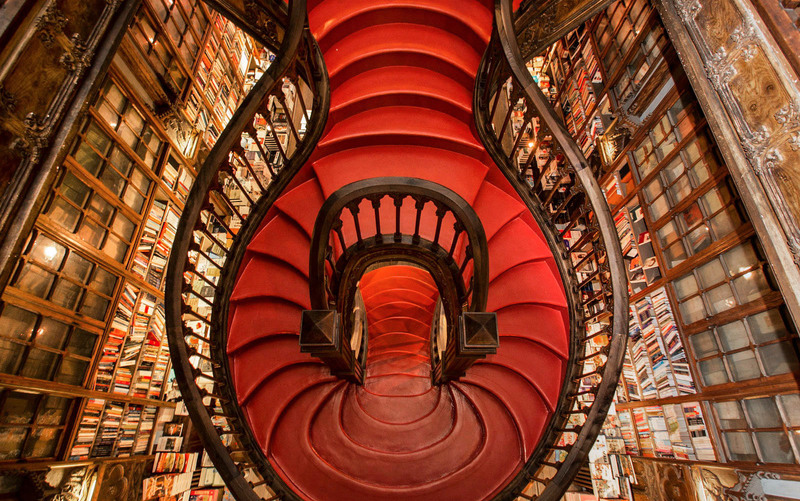 The stairs of the Lello bookstore are also well known. It has been claimed that they were the inspiration of the Hogwarts stairs in the Harry Potter books, since J.K. Rowling came to live in the city of Porto to work as a teacher of English as a foreign language in an academy. However, there is no proof of this. In addition, it is not true that in this bookstore has been shot some scene from the films of the saga of Harry Potter.